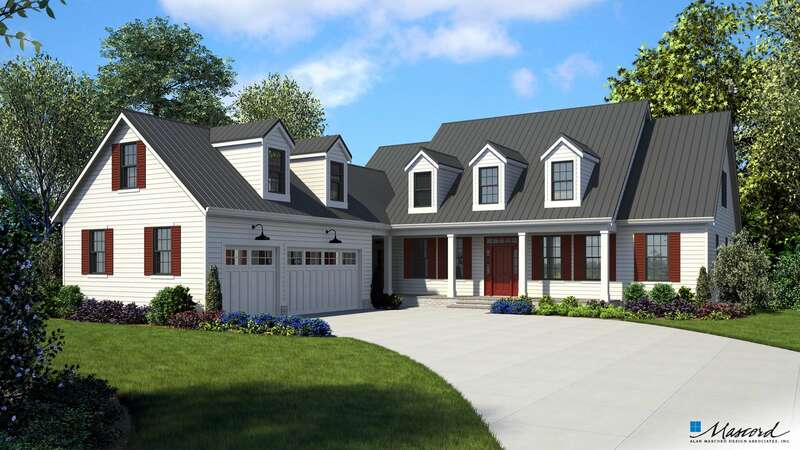 At once charming and luxurious, this design takes cues from Cape Cod and Colonial architecture for its enchanting appearance. A covered porch shields the entry, which opens to a two-story foyer. On the left is the formal dining room; on the right is a cozy study with two entrances. The vaulted great room is open and has a fireplace and two pairs of French doors to the rear yard. A breakfast nook adjoins the island kitchen and has an attached vaulted porch for outdoor enjoyment. You'll like the convenience of a main-level master suite and love its walk-in closet and bath with separate tub and shower and double sinks. 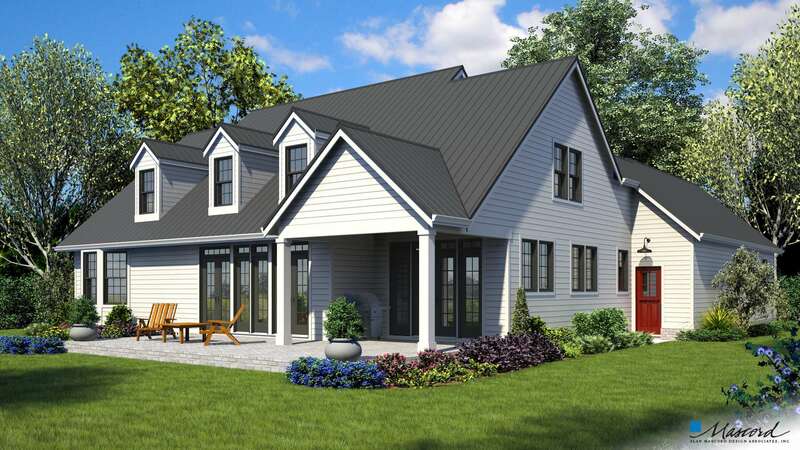 The upper level holds three family bedrooms (two with dormer windows), a full bath and bonus and attic space. Two sets of stairs lead up to the second floor. Bonus space adds 308 square feet to the total.